Northern Ireland bounced back from their worst result at a Commonwealth Games since 1962 eight years ago by striking gold thrice in 2010, but despite the mix of precocity and experience Chef de Mission Robert McVeigh will take to Glasgow, that rate of improvement looks unlikely to continue. Ladbrokes.com go 5/6 apiece on over/under 3.5 Northern Irish Gold medals at the Games, and there are plenty of reasons to err on the side of caution when approaching this market. 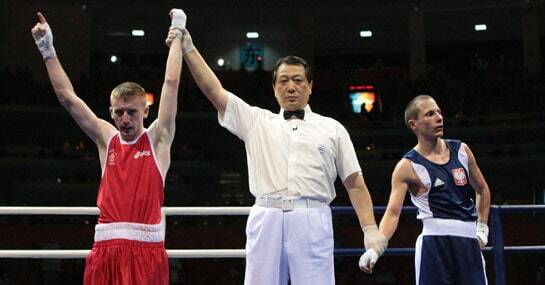 Only once in 18 appearances at the Olympics’ little sister have Northern Ireland surpassed the haul of three Gold medals brought in by boxers Paddy Barnes, Patrick Gallagher and Eamonn O’Kane in Delhi. Barnes will be in Scotland’s capital to defend his Light Flyweight title, and having topped the medal chart for boxing in 2010, with two silvers to add to the trio of wins, the six counties are sure to be competitive pugilists once more. However, with Gallagher and O’Kane now in the pros there are no medal guarantees from any of Northern Ireland’s 11-strong boxing team, apart from double Olympic Bronze Barnes. Outside the ring, young swimmer Sycerika McMahon has eight chances to make a podium, but the Texas A+M University scholar is yet to gain a foothold in the seniors after wowing at junior level and will be up against seasoned competitors in the Scottish capital. McMahon will do well to medal at all at this stage of her development, and with shooting and cycling veterans David Calvert and Wendy Houvenaghel unlikely to build on Bronze and Silver in India, matching their Delhi Gold tally of three rates a worthy target for McVeigh’s team.